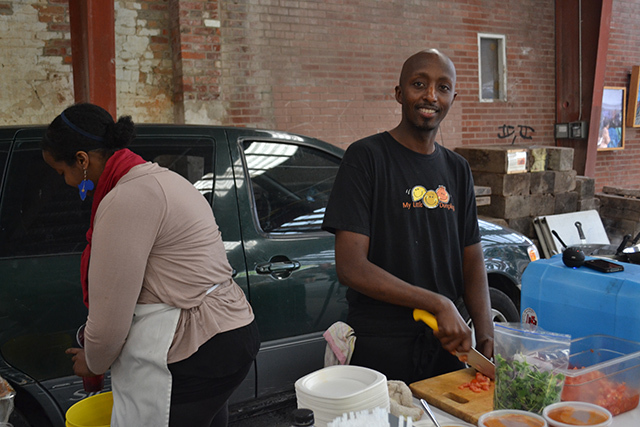 Two vendors found great success being able to test and experiment at the Evergreen Brick Works Farmers Market before opening up their businesses. Top image caption: The Evergreen Brick Works Farmers Market. More than 10 years ago, when he had just started My Little Dumplings, Bashir Munye’s workday began early in the morning. Long before sunrise, he’d make sure his dough had the right consistency, that his vegetables were finely chopped, and that everything was loaded into the car just so. 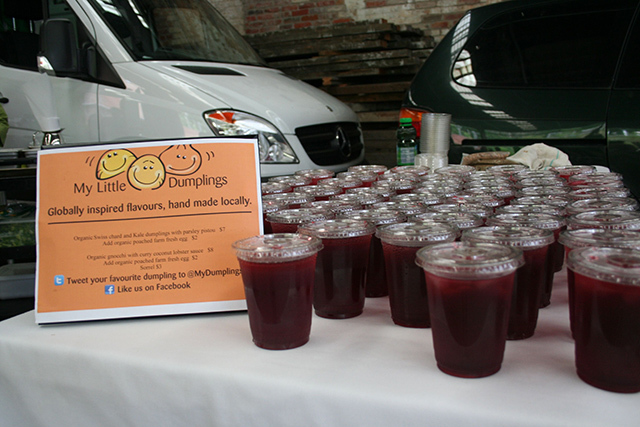 After that, he’d drive down to Evergreen Brick Works, ready to spend the day selling dumplings. As the market grew in popularity, Munye realized it was the perfect place to experiment and prototype with his products. He’d make slight variations from week to week, and see what worked best. “You use the opportunity to meet customers, understand their wants and needs,” he says. “You have to be able to adapt what you think is right to what customers are interested in.” That way, Munye built relationships with customers week after week, but he also got to pitch his business to new visitors all the time. His business grew until he was ready to open his own shop. As one of the market’s first vendors, it was hard work. But between the challenges of cooking outside and dealing with the weather, Munye says he built resilience as a businessperson. “It takes a special person to run a business like that,” he says. “You need to show up early, every week, rain or shine. There are great days and there are bad days, and you learn that you can’t give up just because of the bad days. When Seema Pabari became a vendor at the Farmers Market, she soon set about doing the same thing as Munye. She had a background in consumer goods marketing, but like Munye, she dreamt of having her own food business. She brought her marketing know-how to the venture, and in marketing, you find success by experimenting. When Pabari brought her packaged homemade curry sauce business, Tiffinday, to the Farmers Market, she had a plan in mind. Pabari knew that her recipes were great, everybody told her so, but first she needed more people to try them. So, rather than tweak her recipes, she tweaked her story instead. Week after week, Pabari would try out different messaging, keeping note of what worked best and led to the most sales. After more than a year at the market, Pabari’s sales were steadily climbing, and she realized her business was outgrowing the market. 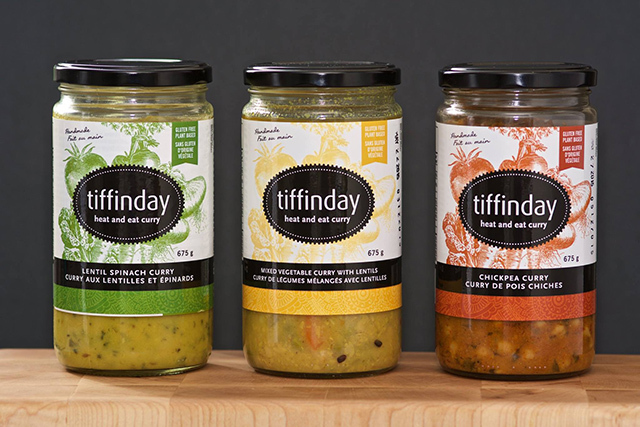 Now, she’s selling in specialty food stores across the province, and Tiffinday continues to grow. It is hard work growing a business from the ground up, but My Little Dumpling’s Munye says that experience was essential for getting ready to work in the competitive world of food. Time at the market helped him set up his first brick and mortar restaurant. It prepared him to teach in the culinary program at George Brown. It helped lead to food literacy programming with the Greenbelt Foundation. And it was a step on the way to becoming executive chef at Cirque du Soleil. For both Munye and Pabari, time at the market gave them a chance to experiment and evolve their business. Both are making their mark on Ontario’s food scene, and along the way, some time in an old brick factory helped them get there. Evergreen Brick Works amplifies local, craft growers like Brickworks Ciderhouse through its Sipping Container.